Screening of Novel Angiotensin I Converting Enzyme Inhibitory Peptides Derived From Enzymatic Hydrolysis of Salmon Protamine. 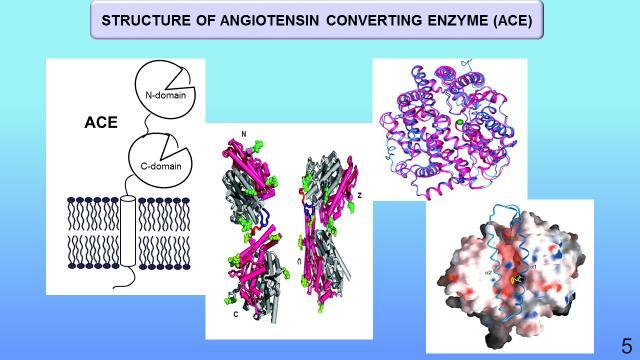 Rasyad F, Huang TC, Hsu JL, Fadjar M.
Angiotensin I converting enzyme (ACE) inhibitory peptide is widely recognized as useful therapeutic approach in the treatment of hypertension. Bioactive peptides from natural sources, including marine fish, are more considered because it has no harm effects. The objective of this study is screening the presence of potential ACE inhibitory peptide from salmon protamine. ACE inhibitory peptide was purified from salmon protamine after 16 hours of hydrolysis by various enzymes and centrifuged using 3 kDa molecular weight cut off (MWCO) ultrafiltration membrane. The peptide sequences were analyzed by Liquid Chromatography Tandem Mass Spectrometric (LC-MS/MS). ACE inhibitory activity was measured using Reversed-Phase High-Performance Liquid Chromatography (RP-HPLC). The results indicated that trypsin hydrolysate had the highest ACE inhibitory activity compared to the other hydrolysates with IC50 value 135.96 μg/ml. LC-MS/MS analysis of tryptic protamine identified two major peaks with three peptide sequences, Ser-Ser-Arg-Pro-Ile-Arg (SR-6), Ser-Ser-Ser-Arg-Pro-Ile-Arg (SR-7), Pro-Arg-Arg-Ala-Ser-Arg (PR-6) which sourced from salmine of Chum Salmon (Oncorhynchus keta). The ACE inhibitory peptides from Salmon Protamine still has not been reported previously, therefore it can be beneficial for preventing hypertension. On the Physiology and Medicine of Aging. Pandit A, Pandey Bahuguna D, Kumar Pandey A, Pandey BL. World-over the population of aged is steadily increasing and physiology and medicine of aging constitute major biomedical concern. Evolutionary understanding of biology has given rise to multiple diverse causal theories of aging, with different extents of scientific validation. Genetic coding of life span has not been tenable, although the gene-environment interactions seem to heavily bear upon the phenomenon. Visibly, aging involves structural and functional erosion undermining efficient bodily readjustments to the demands of changing life environments. Age associated diseases indicate imbalance in energy intake and expenditure. Healthy process of ageing must be impacted by the same to acquire undesirable forms and rate of progression. Aberrations in lifestyle and nutrition prominently link to pathogenesis of age associated diseases, and provide objects for preventive and corrective interventions. 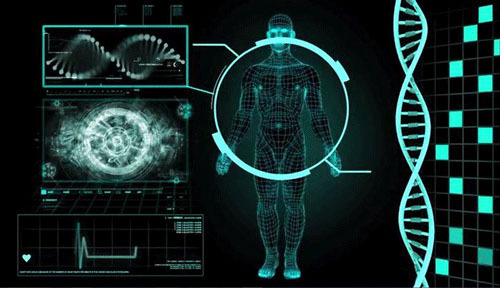 Treading on such very frame, the physiologic and medical understanding of the ageing process, is herein, developed with a degree of over-simplification. The current understanding on biological factors of aging is reviewed emphasizing the interrelation among them, to contemplate personalized preventive and mitigative interventions. Keywords: Biology of ageing; Physiology of ageing; Mechanisms of ageing; Ageing prevention; Medical management of ageing. Results of Gastroesophageal Collector Modified Total Dissociation in Patients with Portal Hypertension. Nazyrov FG, Devyatov AV, Babadjanov AKh and Ruziboev SA. The purpose of research was to study long-term results of the modified technique of gastroesophageal collector total dissociation (GECTD) in patients with portal hypertension. Materials and methods. Currently a modified version of the operation has been performed in 73 patients with the portal hypertension (PH) syndrome. In 36 patients the cause of PH was liver cirrhosis, 30 patients were diagnosed with extrahepatic form of PH, mixed form of PH was determined in 8 patients. The age of patients ranged from 13 to 65 years, thus the median was 31.6 ± 1.7 years. Patients randomizing by gender was as follows: men - 44, women - 29. In 53 cases patients were admitted in a planned order, and 20 patients were delivered urgently with the clinical picture of gastroesophageal bleeding. Results and discussion remote period was followed up in 46 patients with primary procedure and in 66 patients with a modified technique of GECTD. Rebleeding was observed in 15.2% of patients, 6.5% on the background of anastomositis. Gastrostasis occurrence was detected in 3 of 46 patients. Liver failure occurred in 23.9% of patients, 15.2% patients died on the background of these complications. In the group with a modified procedure bleeding was observed in 6.0% cases. Bleedings from erosion in the area of ligature transection were stopped conservatively. Mortality in long-term period of observation was 7.6% (5 patients). Overall mortality for the near and distant periods in the comparison groups was 22.2% and 16.4%, respectively. Conclusion –dissociation of gastroesophageal venous reservoir by ligature transection on synthetic prosthesis, unlike previously proposed methods of GECTD allows not only to ease technique of operation, but also provides prevention of early postoperative complications associated with traumatism of previous methods, as well as the stomach gross functional disorders in the long term period.